Welcome to Candyhouse!! We have an exciting range of gift-packed confectionery to suit all taste buds! From seasonal Easter and Christmas, to all year round favourites! 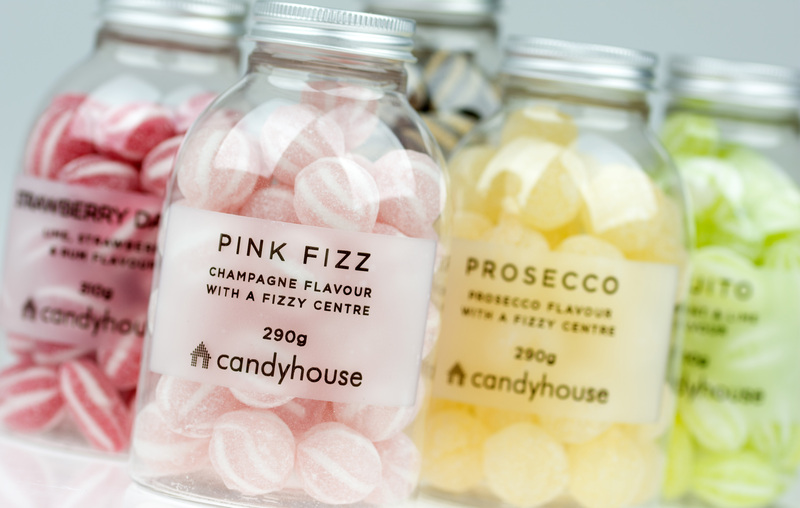 This Christmas view our new range of Mocktails, Prosecco and ever popular Gin & Tonic flavoured sweets. Our traditional favourites include our Sweet Jolly Boxes, the Christmas bird pen range with milk chocolates, plus jars and tubes filled with brussel sprout chocolates – what’s not to like?! confectionery, mixing traditional favourites, and more unusual lines, in distinctive, stylish packaging. The hand packing process allows flexibility in production, and also small runs tailored to demand. The Conran Shop, Selfridges, The Bristol Design Guild, to name a few. The brand has maintained and gained momentum by continuously sourcing new products, being sensitive to changing customer requirements, and inventing creative new packaging. Our new website is under construction and will be available soon, in the meantime please contact us using the details on the Contact page!